With the first tournaments having been played on pre-season 5 and 2014 ending, it is time to retrospect on some of the events of Season 4. With the first tournaments having been played on pre-season 5 and 2014 ending, it is time to retrospect on some of the events of Season 4. When I refer to shattering heartbreaks, I want to review some of the emotional roller coasters that went on in Season 4; some of the decisions or turn of events that only called for disappointed faces and smashed spirits, from both fans and players. This is the first part of Ten shattering heartbreaks of Season 4. 2014 looked like the year Gambit could come back to their dominant form. With Voidle as support, they managed an honorable performance at Worlds (taking Samsung Ozone out of the group stage and losing 1–2 to Najin Black Sword in a close series. NJBS would turn out to be the hardest opponents in the entire tournament for future winners SKT). At the end of 2013, Voidle would leave Gambit and with tears of joy from the fans, EDward joins back the legendary line-up. 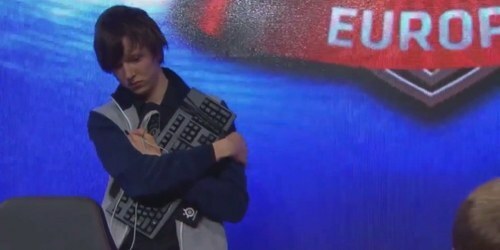 A swift victory at IEM Cologne (taking out both Cloud9 and Fnatic without losing a single game) and sweep of XDG with a 2–0 tear down could ring the return of the champions; Everyone announced Gambit to be the team to fear in 2014. The LCS began and the prediction seemed fairly accurate. While having the usual M5/Gambit weird loss, they managed to take convincing victories on top teams while taking crazy picks out of their hat (namely Alex Ich’s Lulu and Darien’s Warwick). They stayed at the top of the ladder for weeks. Yet after IEM World Championship, where their performance was interesting yet below what could be hoped, and an unfortunate remake of the game against SK Gaming, Gambit’s legendary synergy seemed to have finally withered. With a bootcamp that, for the first time, was not enough to let them get back into form and the only ever LAN where the original roster wouldn’t place higher than 4th, fixing Gambit would require tears and blood. A little while later, it would be announced that Alex Ich left the line-up to join the infamous NiP Roster (at the time: Alex Ich, k0u, Nukeduck, Freeze and Mithy). 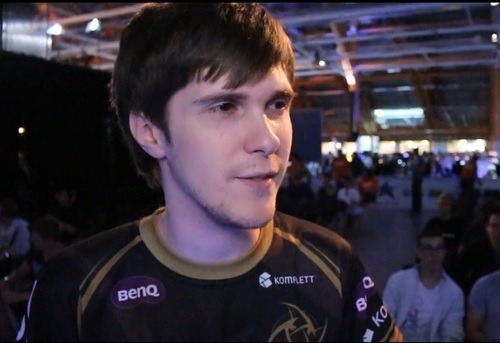 With niQ as a remplacement, Gambit was a hollow shell of the former « Russian Overlords ». Darien (and even Diamond at one point) would end up being benched. In spite of showing flashes of their former selves (namely a decisive win against Alliance and a rather encouraging Super Week), they went 7–22 and ended 7th place having to battle for relegations. The straw that broke the camel’s back was the replacement of Timelord Genja by Krislund (now P1noy) for the relegations matches against SKPrime. The new Gambit squad has it’s strengths, but the disappointing playoff performances of the Spring Split 2014 would be the last games played by the legendary roster. After successive departures, SK’s future was looking grim. Washed-out star and captain Ocelote left to form GAmers 2, and both Kev1n and Hyrqbot were to be snatched by NIP. With a patchwork of a roster made of ex-LCS players, unknown talent and the original botlane, SK was not feared coming into relegations. With an unexpected comeback from a 0–2 start in the series, SK was back in the LCS, but without their support Nyph who elected to join superteam Alliance. With the return to the scene of nRated, their roster was finalized, but entered the LCS with low expectations. Yet, after a trembling first weeks, SK Gaming would look to take more and more wins on their opponents as if their synergy had finally clicked. With Fnatic out of the fight for a few weeks, they were battling in a three-way tie for 1st place with Gambit and ROCCAT. They finished 1st of the Regular Split and while losing 3–1 to Fnatic in the finals, they would return as serious contenders. With a somehow hesitant start to the Summer Split, they came back to form and managed a strong showing in the playoffs almost taking the series against eventual winners Alliance. With their tickets to Worlds secured, the first bad news was when their coach Nicolas « Incarnati0n » Jensen would be prohibited by Riot to enter the event. Pulling through this upsetting news and boot camping in Korea with their Sports Psychologist, they didn’t expect that the ride was far from over. Drawn into a fairly weak group (with TSM, TPA and SHRC), all hopes were allowed. 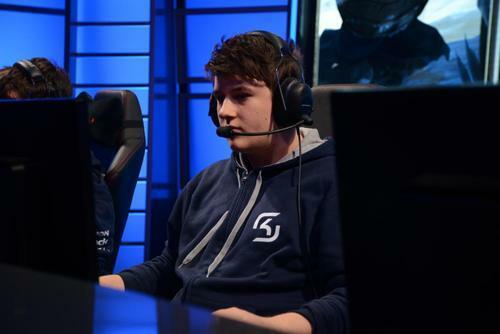 Yet, after choosing an in-game handle in bad taste, the jungler Svenskeren would be banned for the first three games of the World Championship. With challenger jungler Gilius as a replacement, SK’s hopes were dead in the water and a close victory over TSM in the group stage would reiterate the unescapable « What might have been? » sentiment. 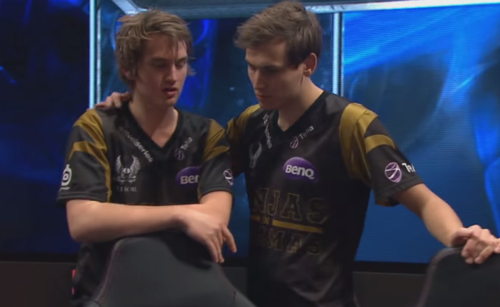 While having a disappointing Worlds, going into Season 4, Lemondogs were a team to watch closely. When piecing the last cog in the person of Mithy, they had one of the most impressive run in the 2013 Summer Split and ended 1st in the standings. Sweeping 2–0 Gambit in the playoffs, it looked like these newcomers could ensure a bright future for EU. While their performance at Worlds wasn’t what expected of them, it could be explained by an overall burnout of the players that a soothing summer vacations could have fixed. Yet, the offseason shenaningans would see it differently. After Bjergsen’s transfer to TSM, NIP would hire Nukeduck as a replacement and would take, as a bonus, Zorozero and Mithy. With Dexter and Tabzz ditched on the side of the road, the original line-up’s futur was uncertain. With a line-up consisting of Zorozero, Hyrqbot, Nukeduck, Freeze and Mithy, NIP was going into relegation with confidence and bloodthirstiness. As the 5th placed team, they chose the unremarkable KMT (soon to be ROCCAT). To everyone’s surprise, the polish team would sweep the powerhouse 3–0. The line-up’s future was beyond uncertain. The emotional roller coaster wasn’t over yet. 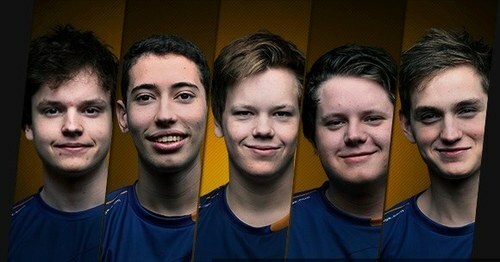 Firstly, it was rumored that, thanks to shady operations from both the Lemondogs and NIP organizations, the trio could be in the LCS as soon as next split. Yet, as often the case, rumors turned out noise and Lemondogs’ spot was up for grabs. Once again, a chance was offered to the renegades. Nevertheless, a failed client patch by Zorozero would disqualify them from the promotion matches and they would be jailed to the Challenger Series. With a dominant run in the Challenger Series, only contested by Cloud9 Eclipse (now H2K with k0u and then Santorin instead of Loulex), they once again came into Summer Promotion with a justified confidence. At the time, they were facing a shaky Millenium. With the longest and most excruciating series Europe had to watch, they would be beaten by a close 3–2, forbidding them once again access to the LCS. With Alex Ich and k0u coming in to replace Zorozero and Hulberto/Amin, it seemed that their spirits and motivations were revamped and that all hopes were permitted once again. Yet, Riot’s unforgiving ruling would ban Nukeduck and Mithy from competitive play for the rest of the year. With successive and unsuccessful roster changes, NIP led by a burnt-out Alex Ich would not even make it to the promotion matches, ending 4th in the Challenger Series. Without a roster, they never even appeared at the Expansion Tournament, scratching NIP’s name off of League of Legends list of competitive teams. 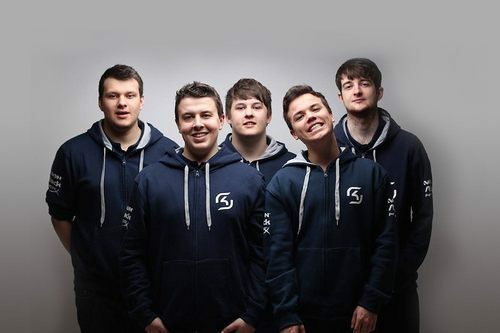 Photo credit: lolesports, Riot, Lemondogs, fragbite.se, SK Gaming.